Luckily for the imaginary pedestrians in my path, my adrenaline-fueled rampage didn’t last long. After crashing into a few cars my transmission began to fail, limiting my acceleration and top speed. Eventually, the engine followed suit and rendered the vehicle useless without further repair. When I exited the truck, it felt like I had gotten back from a vacation. The simulation was so lifelike that my mind completely detached from being at CES, or Las Vegas in general, to the point where it became therapeutic. This level of therapy doesn’t come cheap, though. The truck costs $150,000 and then another $150,000 is required for Sigma to rig it up the way you see in the video. 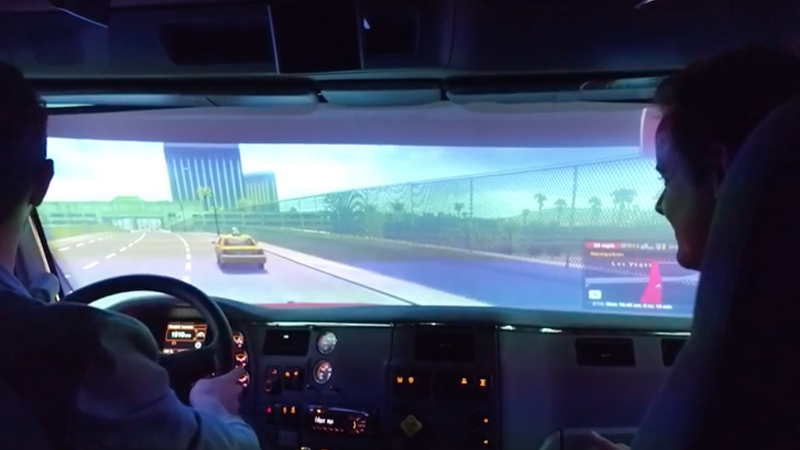 Before experiencing the simulator, I knew there were challenges these big rig drivers faced—blind spots, increased braking distances, wide turns, etc—but only when you’re behind the wheel do those challenges become abundantly clear. 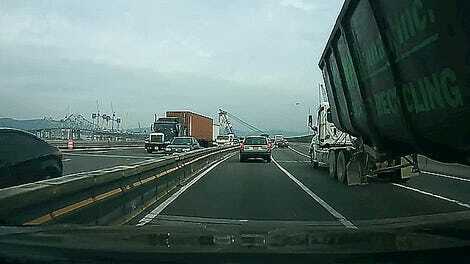 Next time, I’ll think twice about pulling out in front of that tractor-trailer.